Visiting NYC Easter or Passover 2017? Want to do a little retail therapy with your teens who crave some cool spring fashion?. Here are some Shop Gotham Deals and Programs to fill that hunger. We’re thrilled about our Spring/Summer promotion happening right now. We’ve teamed up with the amazing folks at America’s premiere Botanical Garden to bring to you a fantastic package deal! From May 14 through August 26, we’re offering you 30% off when you book a shopping tour with us AND make a trip to the beautiful botanical gardens. Who doesn’t love a good bargain in New York City? 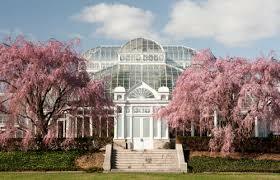 Explore the inspiration behind American Impressionism in a display of painting & sculpture and stroll through beautiful evocations of the gardens depicted in their quintessential landscapes at the turn of the 20th century at the Botanical Gardens New York AND find yourself with the latest fashions after one of our amazing, expert-led shopping tours. We’re back again for another installment of our Guest Blogger Series: Travel in Style. 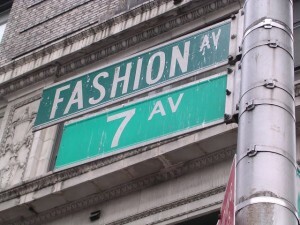 Each week we speak to NYC’s hottest fashionista’s who are armed with style advice for your trip to the fashion capital! This week, we caught up with Annette Marom – a talented designer turned Television stylist for major TV networks. Having started her career in NYC’s Garment Center in the menswear industry, Marom followed her dream and created a womenswear line of her own. After settling down in the concrete jungle, she decided to pursue a career in styling. See below for her guide to New York style. SG: Tell us a little about what you do? AM: My name is Annette. I shop and style men and women for network television. News and Sports. 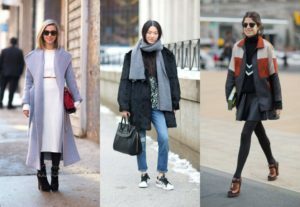 SG: What are your top 5 must have pieces right now for fashionistas preparing for a trip to NYC? SG: Biggest trend this season? SG: What is your secret NYC hotspot? AM: Not a secret but a new restaurant I recently went to and really like: Dirty French in the Ludlow Hotel on the Lower East Side. Both great ambience and food. It is new and hot, so resies are tough right now – book early! AM: Plan your outfits before you leave and just pack them! 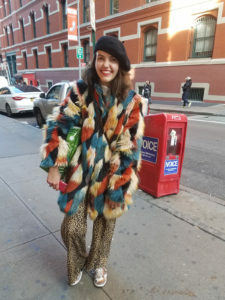 We’re back for the second interview of our new Guest Blogger Series: Travel in Style – where you can expect top tips for travel from NYC’s most stylish bloggers! This week, we caught up with the ultra stylish Iyesha Cunningham of Salting Light. A well-travelled, trend savvy photographer, Cunningham dabbles in the fashion marketing world while presenting her photography on her own blog in her spare time. Get ready for a New York summer with her top style tips below. SG: Hi, tell us a little bit about Salting Light? SL: Salting light is the name of my blog I started right before I started doing some travelling. I used it to show my adventures and post some other projects I am working on. I got the name from this bible verse I really love in Matthew 5:13 which talks about us being the salt and light of the earth, and I love the concept of lighting in my photography so it all meshed together. SG: What are your Top 5 recommended ‘must have pieces’ right now, for fashionistas preparing to pack for their NYC trip? SL: I’d say some classic white sneakers, an oversized t-shirt dress, boyfriend jeans, classic denim jacket, and a good tote or leather bag to get you from day to night. SL: I am a sucker for all white and overalls. SL: haha. Secret hotspot? I’d say a best kept secret in New York is Inwood in the Fort Tryon Park and Cloisters area, even the path under the George Washington bridge by the lighthouse. It’s such an escape from the NYC madness but a bit out of the way. Shop Gotham has long been about providing eager shoppers with ‘Insider’ information – just check out our Garment Center Tours. We wanted to take that one step further for all of our visitors out there, so we are introducing to you *drumroll please* our new Guest Blogger series. We’ve delved deep into the world of fashion to find you New York’s top bloggers who are armed with travel and style advice for you as you plan ahead your trip to the fashion capital of the world. This week we speak to the wonderful Brittni Joy Shalit, a style savvy New Yorker who runs her own fashion company, In All Honesty. She’ll have you ready for your travels in no time! SG: Hi, tell us a little bit about In All Honesty? BJS: In All Honesty is a women’s fashion brand derived on having versatile and easy pieces that can be worn a million different ways, dressed up or down – with a slight edge to it. After a few months of having the online shop open, I decided to take it a step further and make In All Honesty a blog as well to help show all the different ways in which the pieces can be worn. An inspiration of sorts. From there the blog kind of took off and I started to add in Personal Style as well. 2. A cute backpack – whether it be a fjallraven or a vintage designer one you stole for your mom, it’s perfect to run around the city with and works for day to night. 4. Fashion sweatshirt. My favorite look hands down is an oversized cute sweatshirt with vintage cutoff denim shorts. 5. Comfortable shoes. You will be walking a lot, and if you’re not, you didn’t do NYC justice. Converse hi tops are always my go-to’s, or my black ankle boots. BJS: Truthfully this is a tougher question than “tell me about yourself.” I don’t really follow trends, I kind of just think of things I want to wear and then the hunt begins to find them. Some key things I’m looking forward to wearing this summer are: Co-ords, denim cut-offs with sheer tops or bodysuits (one-piece swimsuits work too), sneakers (think stan smith or Converse), flatforms, and leather. ALWAYS leather. BJS: Whether it’s a secret or not, my favorite place that I drag all my friends to is Macondo in the LES. THE best sangria, tacos, and guacamole, EVER. SG: Best travel advice given? BJS: Plan your outfits (versatility is key) and pack light, you can always go shopping for what you didn’t bring.